We are pleased to introduce 3 new and amazing Yeyei's designs! You have the chance to win your favourite, the first it will be included in her Camaloon gallery. Choose your favorite by posting a comment on the post in facebook! 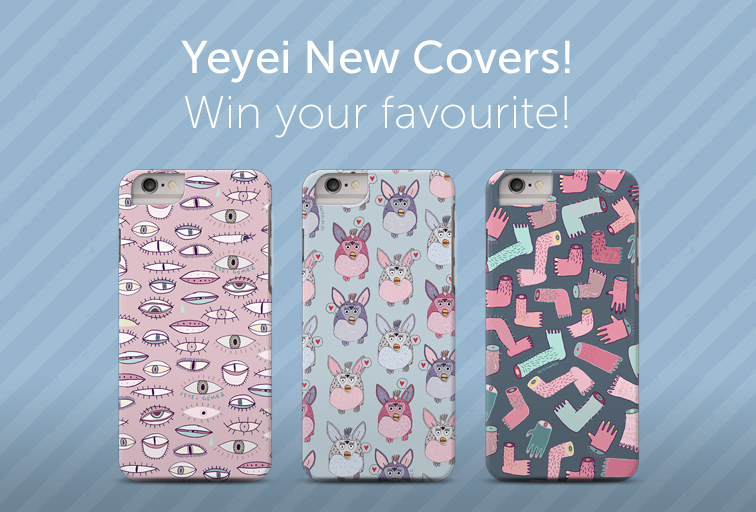 You can win one cover for your iPhone with the artwork chosen! Who win? - We'll choose randomly the winner between the answers. And if you participate do not forget to leave us your email address and we'll send you a discount coupon valid for all Yeyei's products! You have 2 days (until Friday 16th January at 12.00pm) to participate! Monday 19th we will announce the winner!